By now, you know if your guys are in. You’re waiting to see who they’ll play, where they’ll play, when they’ll play. You’re reading the tea leaves to see who’ll make the squad and how they’ll jell into a team. Are they peaking? Struggling? Injured? Healthy? Who’s in form? Who’s on the roster bubble? Will they be drawn into a hopeless Group of Death? Or might they stumble into something E-A-S-Y? Will they be playing against the hosts, or the defending champs, or old rivals? Will they be up for it? What time is kick-off? It’s still months away, but let’s face it: the 2014 World Cup is here. If you’re even a little bit like me, you’ve had June 2014 circled on your calendar since, oh, July 2010. I go absolutely mental for the World Cup, and it feels great to see so many American fans right there with me. (If you’re reading this, you’re likely one of us.) USMNT World Cup matches have become “Big Deal” American events, like Super Bowls and World Series games and arty cable drama finales. That’s also true for the Cup Final, no matter which teams are playing. And because of our melting-pot background, every single Cup match feels huge here in the States – if only because there are thousands and thousands of fans around the country who care desperately about the outcome. All of the 32 Nations designs are available to order over at Clean Sheet Co., my apparel shop. We make shirts in batches, so pre-order now! All shirts ship later this winter. Click here to see & order all 32 Nations shirts! Finally, if you’re interested in discussing this article, getting updates, etc., you can find me at @m_willis on Twitter, or leave your email at the very bottom of this page. Thanks for reading! Many American fans have several allegiances and sentimental leanings – towards the U.S. national team, sure, but also for countries to which they trace their ancestry (around the Boston neighborhoods I frequent, I see plenty of Ireland, Portugal, Brazil and, yes, Mexico), or to teams they grew up idolizing (England, Germany, Holland). Others like to pull for tournament underdogs and feel-good stories (Trinidad & Tobago, New Zealand, Jamaica) or the nations for which their favorite player suits up (Messi’s Argentina surely benefits from this phenomenon). All of this is more than ok; in fact, it’s fantastic. It’s all part of the hoopla and pageantry and delirium that a World Cup gives us. It’s starting to feel real now. The group draw, in a few days time, will set us in motion; it’ll fill in some of the who-when-where blanks we’re still starving for. After that, all that’s left is to hoard vacation hours, pick out how and where you’re going to watch, and obsess until June comes. Oh, and one more thing: come game time, you’ll want to have something good to wear. I can help with that part. In the past, I’ve published design projects that look at individual identities (like soccer clubs) and particular events (like important matches). One-off pieces are fun, but I love a large canvas. Many of you may have read Soccer Out of Context, which gave soccer-style jerseys to Major League Baseball teams – every one of them. We went division by division, through 6 in all (covering 30 teams) and had a blast doing it. Well, we’re doing it again. And this time, we’ll be talking 2014 World Cup. 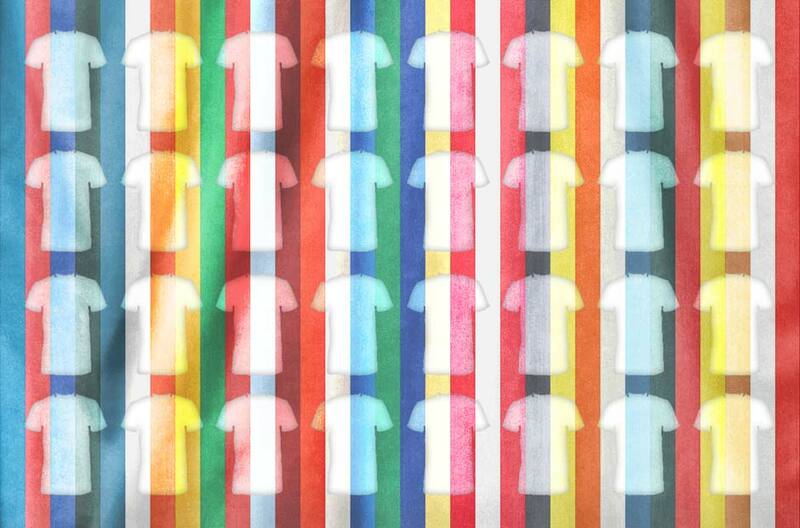 Over the next couple weeks, I’m going to design a shirt for every country in the 2014 World Cup, 32 in all, one group at a time. Since we’re already discussing soccer teams, the process won’t involve re-interpreting another sport’s traditions into the fútbol aesthetic. Instead, the challenge will be to work within a few simple rules – each country will start with the same template, and only a few colors will be allowed – to capture each nation’s definitive style. The goal: to distill the essence of rooting for each nation into a simple, beautiful design. Along the way, we’ll explore uniform traditions, history, culture and national symbolism to give each of the 32 a sharp, distinctive look. 32 Nations is soccer in context – and there’s no shortage of inspiration to draw from. As it happens, earlier this year I founded Clean Sheet Co., a soccer-inspired apparel design shop, to make stuff exactly like this. I’m happy to say that the 32 Nations project won’t end with designs and discussion – with Clean Sheet’s help, we’re actually going to be making these shirts. So if you see one you like, you’ll be able to buy it and wear it during the Cup and beyond. I’m going to design a shirt for every country in the 2014 World Cup, 32 in all, one group at a time. Once the draw is finalized, we’ll make our way through the entire Cup field, discussing one four-team group every couple days. Shirts will be available to order over at Clean Sheet on the same day each group piece is published. When does it all start? Right now. I’m finishing a quick post about the ground rules for this project (update: that piece is now live, right here.). The 2014 World Cup draw happens Friday, and immediately after, we’ll dive in, with 32 Nations: Group A. So: if you’re a diehard looking to get a head start on World Cup fever, or just somebody who appreciates soccer-inspired style, this project is for you. As you might expect of a trip that whisks you from my vantage point in Boston all the way to Rio (via Amsterdam, Zagreb, and 28 other stops in between) it’s going to be a fun ride. Check back on Wednesday for a brief introduction to how the series will work (now here), and Friday (after the draw) for Group A. Questions, comments, etc.? I’m on Twitter at @m_willis. You can check out Clean Sheet Co. at cleansheet.co. If you want to know a little more about me, check out the features at the top of the page, or check out my brief bio. Thanks for reading!